A photo of a former staff sergeant who lost his legs in Afghanistan being carried on his wife’s back has gone viral on Facebook — here is the story behind the picture. Former Marine Staff Sgt. Jesse Cottle told KTVB in Idaho that he joined the Corps in 2003. The explosive ordinance disposal Marine was on a foot patrol in Afghanistan in 2009 when he stepped on a pressure plate that triggered a blast. Cottle was left a double amputee, having lost his legs after struck by an anti-personnel improvised explosive device. The explosion was caught on camera, KTVB reported, as one of his fellow Marines was wearing a helmet-cam. Cottle told the news station he remembers almost everything about the attack, and that he was awake in the aftermath. Cottle told KTVB that he credits his recovery to being surrounded by good friends, family and his faith. He said he was lucky to be able to have the chance to go through the recovery as opposed to losing his life on the battlefield. It was during his long recovery that he met his wife, Kelly, at a swim meet. The couple married in 2012 and they now live in San Diego, Calif. They were recently in Idaho for Kelly’s family reunion, KTVB reported, and that’s when they had some family portraits taken. Former Staff Sgt. 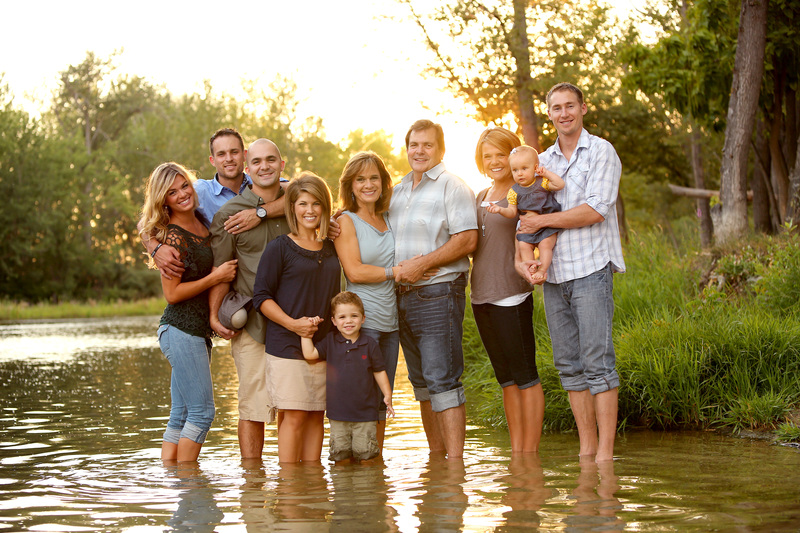 Jesse Cottle and his family were taking family photos when the photographer suggested they get in the water. 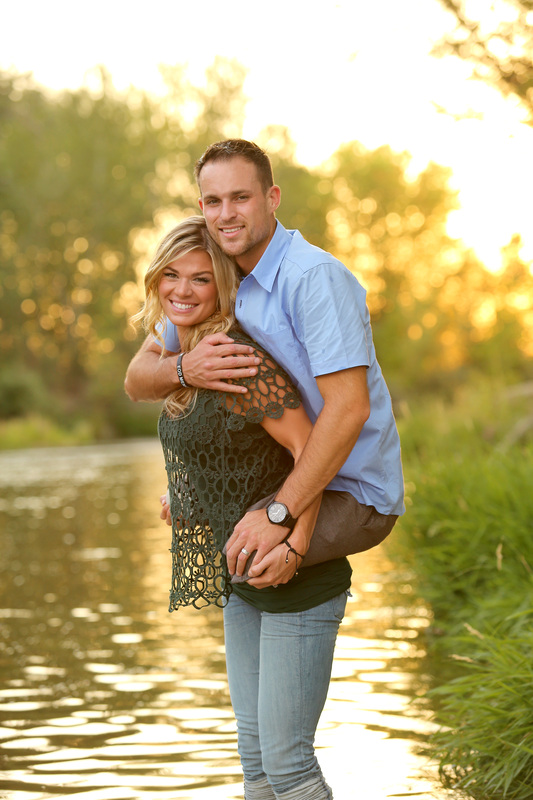 He removed his prosthetic legs and his wife carried him on her back. When the photographer suggested they take a few photos in the water, Cottle popped his prosthetic legs off and his wife carried him on her back, which is how she said she helps him get around. The photographer, Sarah Ledford, posted one of those photos to her Facebook page on Aug. 17. She told KTVB she had no idea it would prompt the reaction it has gotten. The photo has been “liked” nearly 9,000 times and has been shared by more than 1,200 users. Almost 500 people have commented on the photo to tell the couple that their love is an inspiration. “America just fell in love with Jesse and Kelly,” Ledford, who owns ShutterHappy Photography, told KTVB. Kelly said she feels like they represent what what a lot of people are going through after the wars. It’s an honor to be able to represent that, she told KTVB. The photos of Jesse Cottle, a former Marine staff sergeant and his wife have gone viral on Facebook. His wife, Kelly, said she is proud to represent what many couples are going through post-war. This is too much. I can’t express what I feel about them both. This goes to prove that God takes the worst stuff and makes something great from it. WOW….what would happen if he told EVERY wife in Syria and Egypt to put their husbands on their backs and walk to Tarir Square or Damascus and stand in SILENCE for 3 minutes and have that on Al Jazeera ….!! DYNAMITE…..informational war fare and psyops…!! Omg such an amazing story Love is love dont matter what the person looks like…I hope you both have a long happy marriage and many blessings along the way!!!!! I would say something but I need to get my eyes cleared first. Blessings on the two of you. All I can say is that these Photos just warm me. A sudden warmth came over me and I could feel their love by just lookin at their photos. Amazing! God bless you two and your families. THAT is what military wives are all about. God Bless her and all those that serve, overseas and at home.